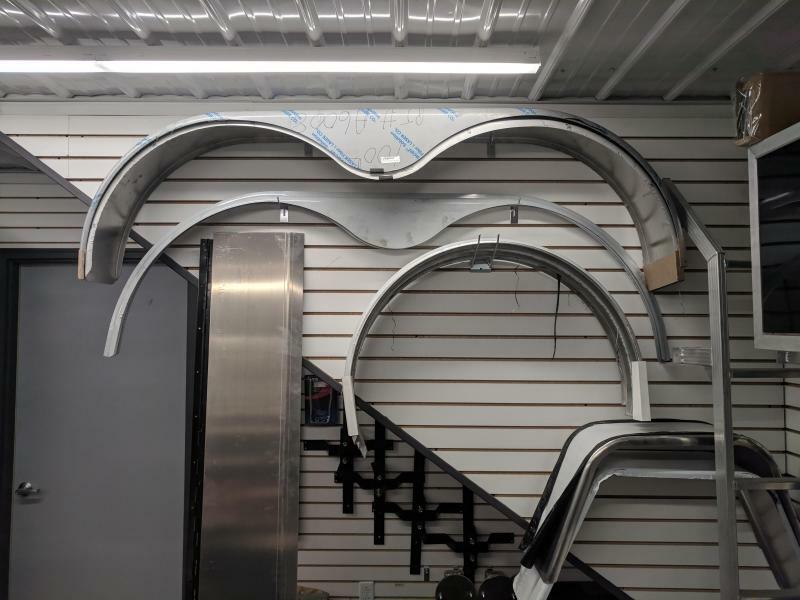 TANDEM AXLE TEARDROP FLAIR COMMONLY FOUND ON WIDEBODY TRAILERS, SUCH AS UNITED UXT SERIES. RADIUSED FRONT WITH 90 DEGREE FLANGE FOR MOUNTING. DIRECTLY UNDER THE FULL COVERAGE TANDEM FENDER IN PICTURE.